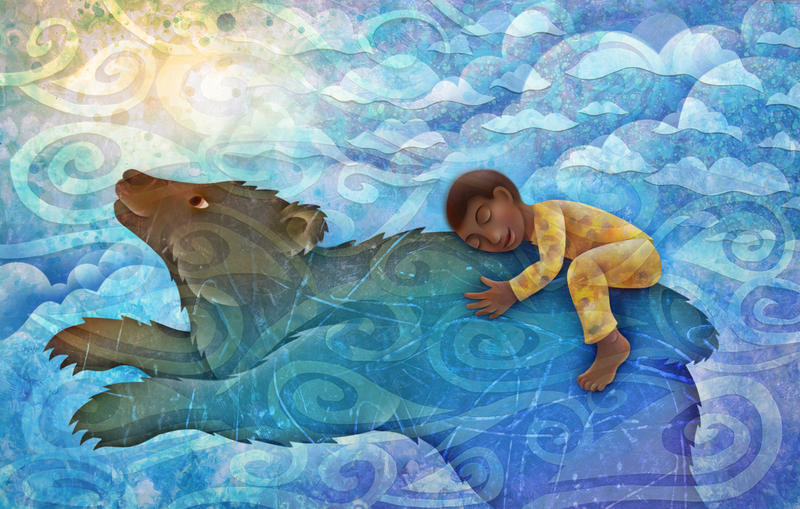 “Beautifully descriptive prose and delightful illustrations cultivate a message of mindfulness and emotional awareness to help children fully experience the present moment. Rather than labeling or defining specific emotions and feelings, Visiting Feelings invites children to sense, explore, and befriend any feeling with acceptance and equanimity. Children can explore their emotions with their senses and nurture a sense of mindfulness. Gaining this objectivity allows space for a more considered response to the feelings. Practicing mindfulness can also enhance many aspects of well-being, help develop insight, empathy, and resiliency. As a culture, we tend to label the positive emotions as Good and the negative emotions as Bad. We can be almost phobic about “bad” or negative feelings – “I’m angry, that’s Bad” – although anger is no more or less a set of passing thoughts and sensations than joy. Some children (and adults) are more comfortable feeling angry, but have great difficulty acknowledging sadness. For some, sadness feels more acceptable than anger. In truth, they are all passing feelings, and they are all part of the human experience. Just like the old story about going on a bear hunt, we can’t go over them, can’t go under them – we have to go through our emotions. Learning how to process feelings is a skill every child deserves. Many adults are still working on the ability to experience a feeling, engage with it, explore where it lives in the body – all while knowing it is there for a visit but will not take up permanent residence. Dr. Rubenstein hopes children learn to appreciate that strong feelings can occur and they are just part of their experience, not their whole experience. Just like when we tell our kids their behavior might have been “bad” but they are not bad, we can feel sadness but not be consumed by it. 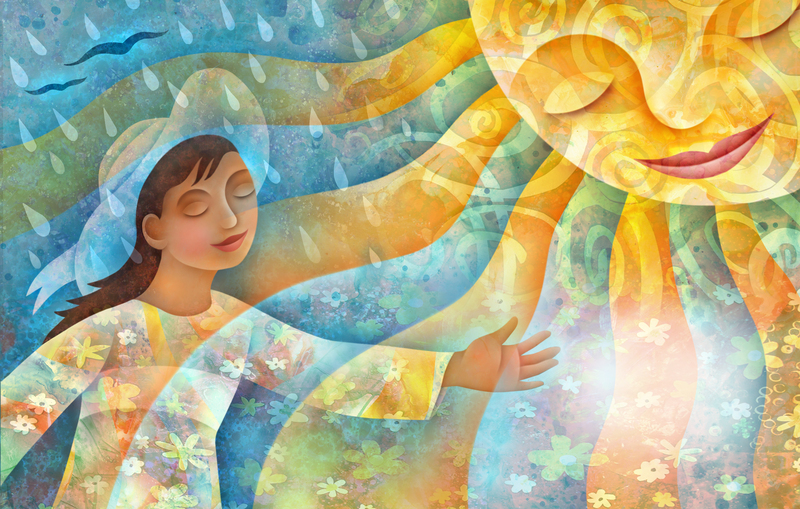 This can help us meet any situation or set of feelings with greater equanimity. Dr. Rubenstein donates a portion of book proceeds to the Go Give Yoga Foundation’s work in Haiti, in the hopes that yoga and mindfulness will offer a respite from the chronic stress of extreme poverty. Her work in Haiti has been featured in Yoga Journal and the Huffington Post. I wish that this book was available when my children were young, and that I knew what I know now. As is written in the note by publisher above, “many adults are still working on the ability to experience a feeling, engage with it, explore where it lives in the body – all while knowing it is there for a visit but will not take up permanent residence.” That was me almost three years ago in treatment for depression. I could identify a handful of feelings, labelled them good and bad, felt shame after I experienced any other “bad” feeling, and used numbing and isolation to try to escape from the shame. I am so happy to have found this book through a friend and plan to buy a copy for the local library. Thank you Lauren for coming up with the idea and writing it, Shelly for the wonderful illustrations, and Magination Press for publishing the book so that it is available to us. I am so delighted that the book speaks to adults as well as children. Wishing you blessings on your continued visits with feelings. As a teenager I often asked myself why teachers and parents tried to teach us everything but how to navigate the confusing feelings that I spent at least 75 percent of my time trying to sort out. 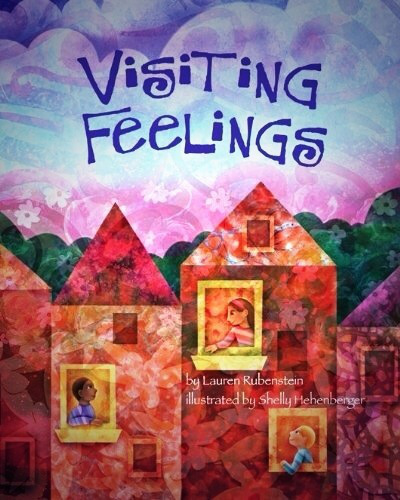 Dr. Rubenstein’s book opens the window for kids to know that everyone has feelings and it’s OK. Plus she gives proven strategies to deal with them. What a breath of fresh air!